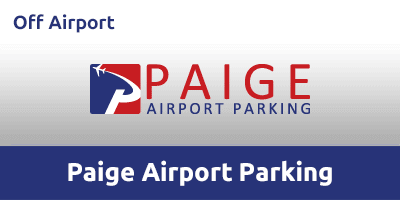 If you’re looking for low-cost off-airport parking at Luton Airport then Paige Airport Parking is the solution for you. Located close to M1 Junction 10, the Car Park is just 10-15 minutes from the terminal. This family-owned business delivers a highly personalised service and secure parking at competitive prices. Transfers operate on-demand, 24 hours a day and take just 10 to 15 minutes to reach the terminal from the car park. Please allow up to 20 minutes for Shuttle departure/collection. This car park features ANPR vehicle entry recognition and 24-hour night vision CCTV, three metre perimeter fencing and security patrols. It’s also a recipient of the Park Mark Safer Parking Award. This car park is open 365 days a year, with 24-hour customer reception and airport transfer. This car park does not accept transit vans, minibuses, motorhomes, caravans and trailers. The car park provides complimentary tea, coffee, water in the customer reception unit. After 100M turn left into access road - signposted Paige Airport Parking. Continue straight on until you reach the entrance – DO NOT turn right into Airparks. Leave the motorway at Junction 9. Unload your luggage and head to reception. Present your booking reference and hand over your keys. Hop on the free shuttle to the terminal, while your car is parked for you. Make a quick call to Paige Airport Parking once you’ve collected your luggage. Head to Bus Stop ‘O' located inside Drop Off Zone 'E' to meet the shuttle and take the ten-minute ride back to the car park. Collect your keys from reception and you’ll be on your way.